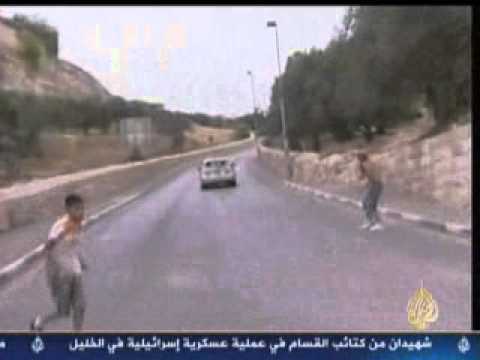 Aljazeera is reporting on an Israeli settler hit-and-run attack by automobile on two young Palestinian boys in Silwan protesting the expansion of Israeli settlements and theft of Palestinian land there. As horrible as the video is to watch– and one hopes the boys are not gravely injured– it is a remarkable simile for what the settlers are doing to the Palestinians. For more see this report. The Jerusalem Fund estimates that there have been on average 2 vehicular attacks per month on Palestinians by Israeli settlers in the Palestinian West Bank during the past year and a half. Israel conquered and occupied the Palestinian West Bank in 1967 and since the early 1970s has been illegally settling Israeli citizens in this occupied territory. Large swathes of Palestinian land have been usurped, along with water and other resources, and Palestinians under foreign military rule have been left stateless, without citizenship or rights or a say over their own destinies.